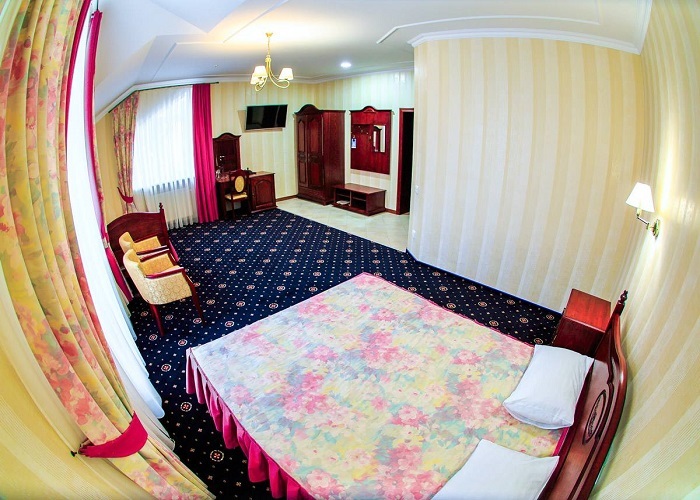 The best price for a Junior Suite! 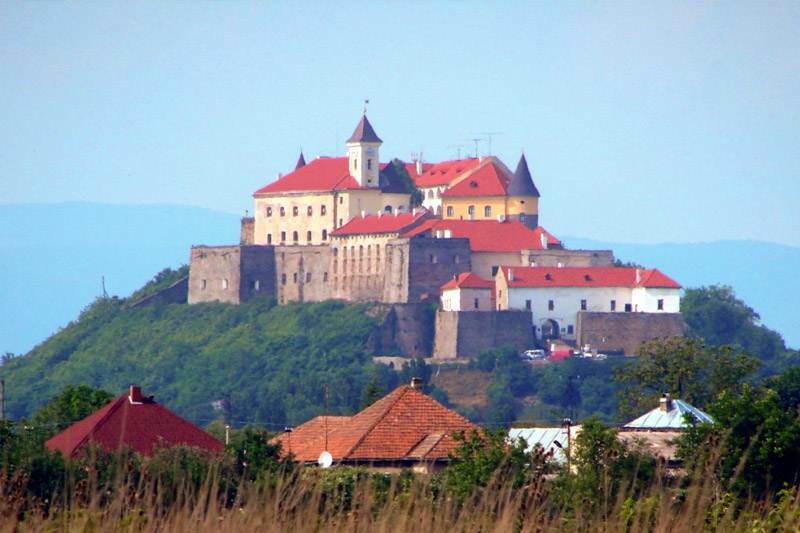 Zakarpattya – surprising corner of Ukraine which charms eye of tourists with beauty of the nature. There are both mysterious woods, and mountains, both picturesque valleys, and mountain rivers, both crystal-clear lakes, and majestic falls, and ringing streamlets. But the biggest treasure of Zakarpattya is hidden deeply underground. Exactly from there curative sources, which are recovering health and courage of many people resting and taking treatment in Zakarpattya, spring on the surface. A great number of tourists annually come here again and again for magic power of the Zakarpattya water. Popularity of balneological resorts markedly grows today as more and more people prefer resting with advantage not only for mind, but also for body. Complex rest and treatment in Zakarpattya are possible thanks to a unique combination of magic force of nature and the developed tourism infrastructure. 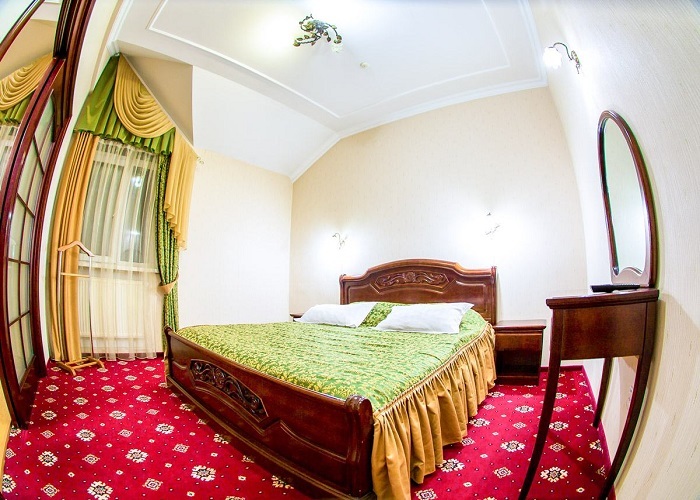 So, modernhotels of Zakarpattya with pleasure will take care of comfortable and fascinating rest for both adults, and little guests of our region. 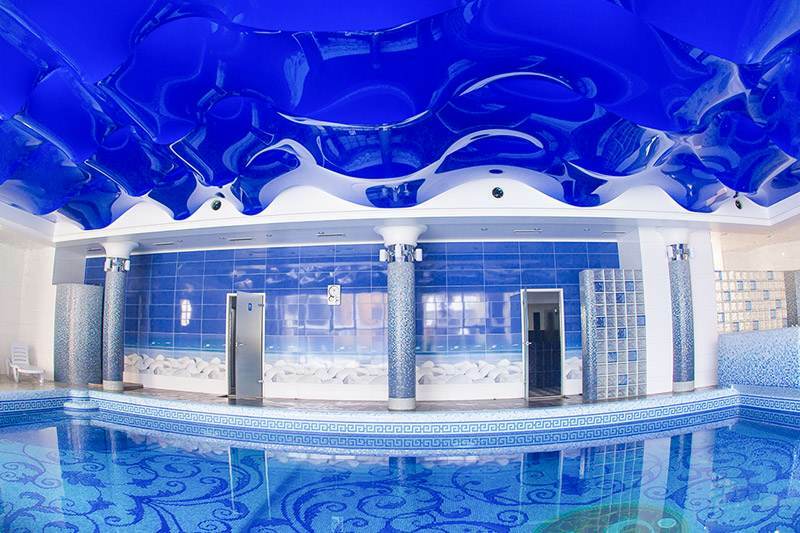 Moreover Zakarpattya sanatoriums will offer treatment by mineral and thermal waters. 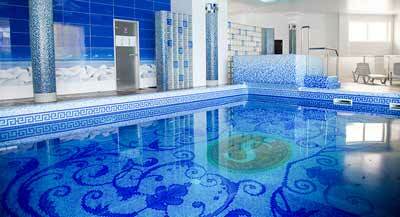 To go on the vacation and treatment in Zakarpattya it is possible at all seasons of the year. 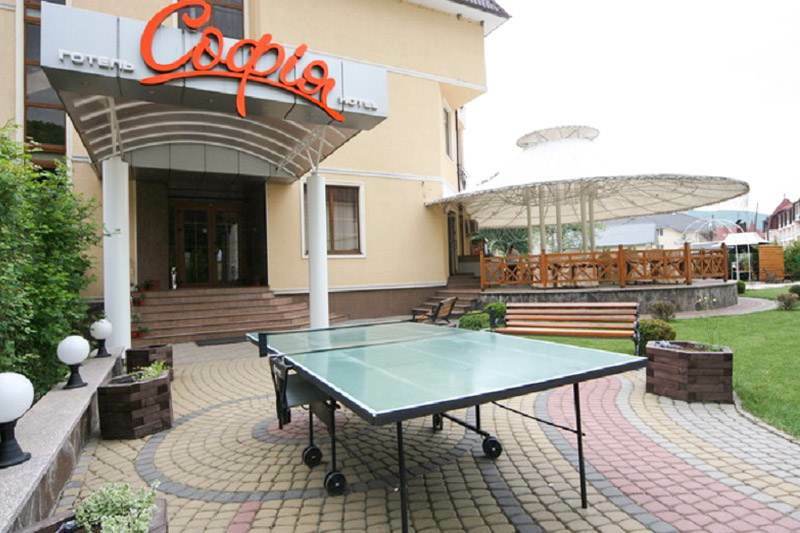 One of the best-known resorts of Ukraine in Zakarpattya – Polyna. Thanks to fine climate, clean mountain air, and, above all, the abundance of curative sources which meet here continually, that’s the reason why not only in Zakarpattya Polyna is famous, but also far abroad. Mineral waters of this resort became known in Europe in the 16th century. They are awarded with many awards for their medicinal properties. 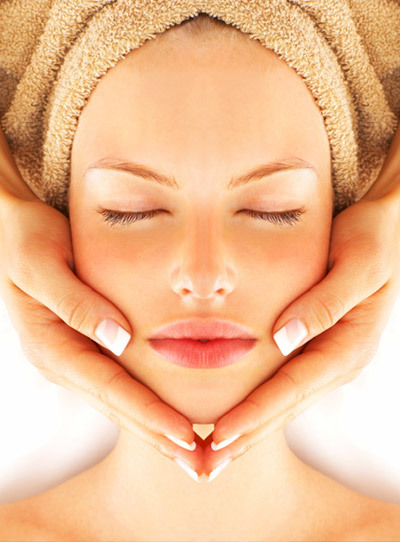 Therefore resting in Polyana will present to each vacationer recovery, health improvement, freshness and beauty. 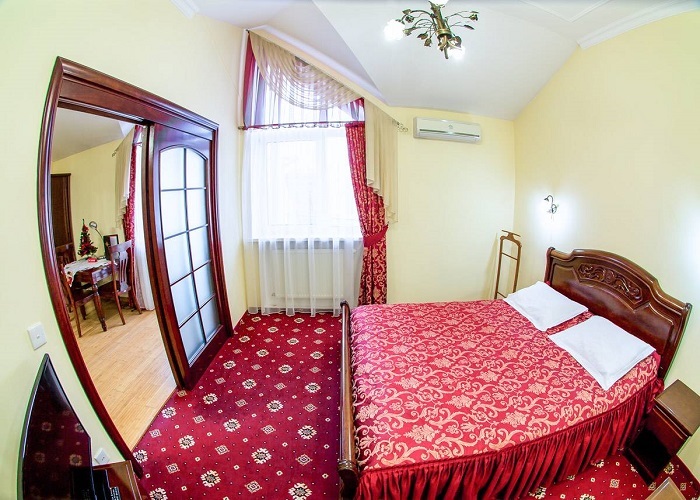 Everyone who prefers comfortable and recreating rest in Polyna, make a choice in favor of the «Sofia» hotel complex. Embracing the green Zakarpattya wood, the Sofiya hotel is located on the river bank of Big Pinya – in one of picturesque places of the Polyana resort. 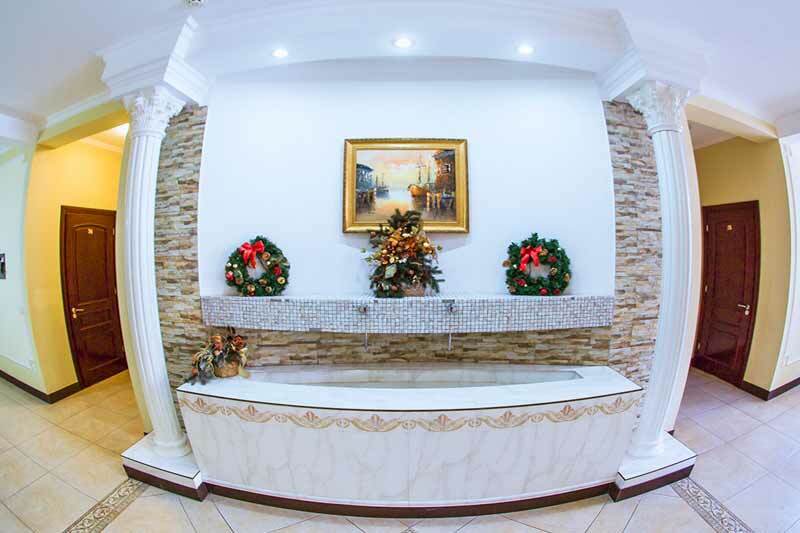 Comfortable modern numbers, the list of provided services and high level of service will satisfy the most demanding guest. 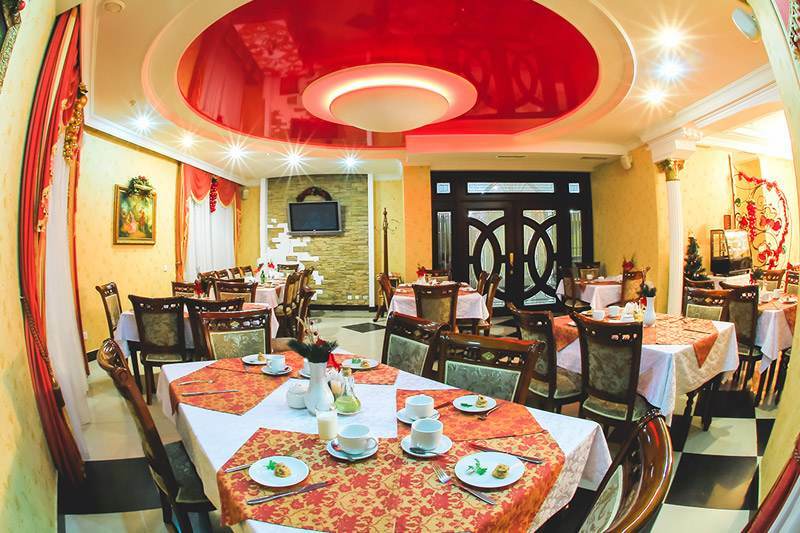 The special atmosphere of hotel with faultless numbers and a modern decor will be worthy addition for your rest. And it is not surprising, after all hotel in Polyna was designed by the famous architect who took into account all authentic features of the region. 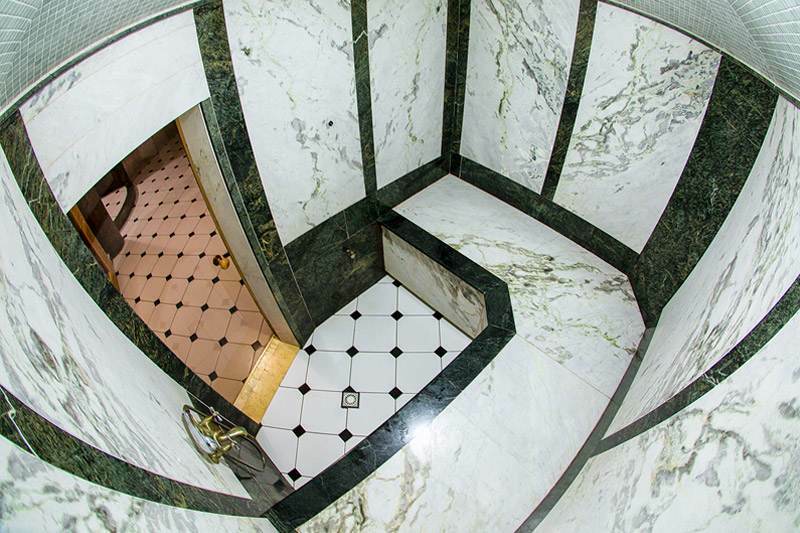 In «Sofia» hotel there are all necessary conditions for resting, including massage, a salt cave, SPA, a sauna, a steam bath and other water procedures. 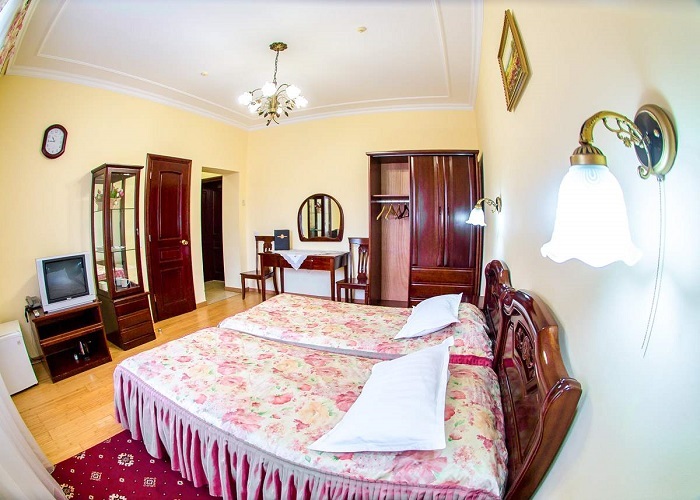 Also «Sofia» hotel provides the wide list of services, among which are such as holding business meetings, seminars, symposiums, conferences and cultural actions. For more saturated rest fascinating excursions across Zakarpattya are offered. 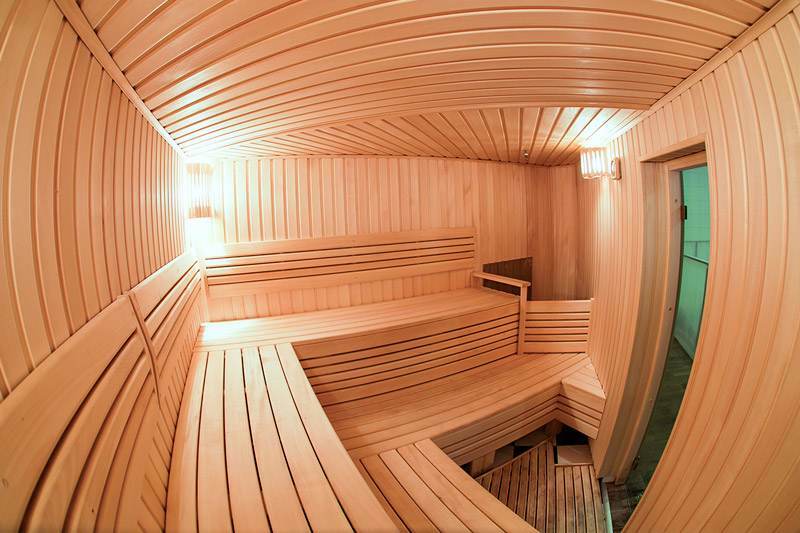 You will not only relax, but also healthier. 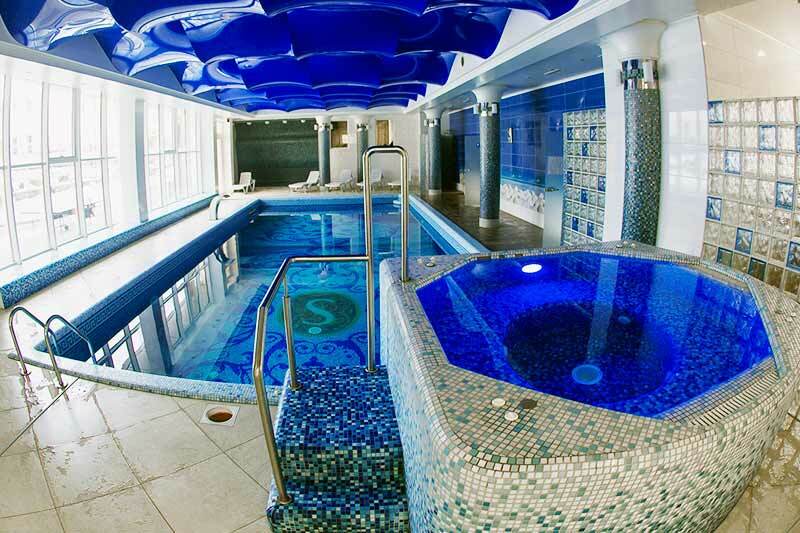 The hotel complex «Sofia» offers you a wide range of treatments. The greatest wealth Polyana resort is mineral water. World concept is by far the SPA. Effective in the fight against excess weight and rejuvenate the body. Sightseeing tours to suit all tastes. 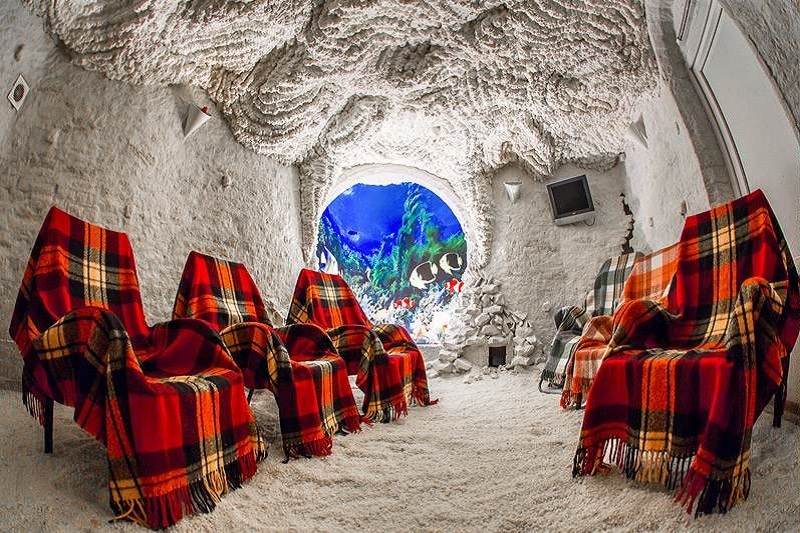 A visit to the salt room, we will add you strength, health and carefree! Swimming ways to relieve stress, soothe and give a boost of energy to man. We can find fun and for those who enjoy outdoor activities.